Now you can organize your workspace with less mess than ever before. 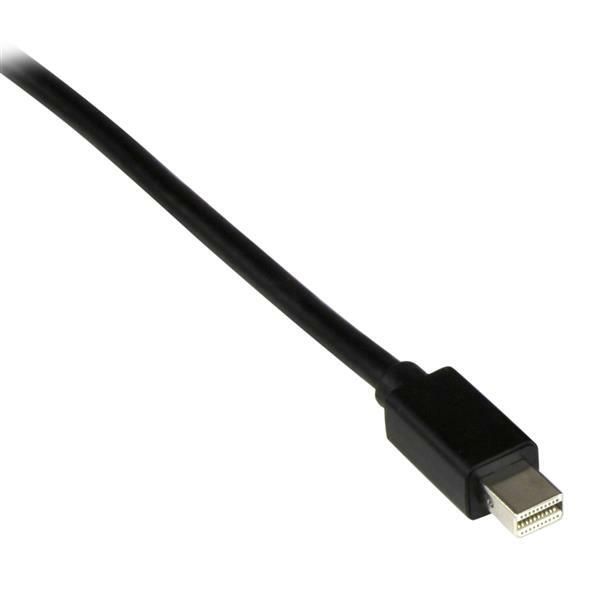 This unique 6-foot Mini DisplayPort™ to VGA adapter cable features a built-in audio port, which enables you to connect a VGA monitor as well as speakers to your Mini DisplayPort equipped desktop computer or laptop (such as any of the Microsoft® Surface™ Pro devices) that support mDP. Remove the cable clutter from your desk. 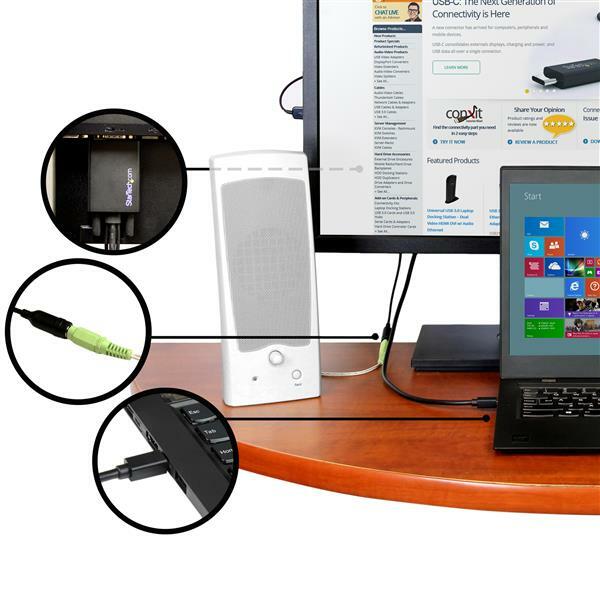 With the built-in audio port you no longer need to run a separate audio cable from your monitor or speakers directly to your desktop or laptop computer. Simply plug the audio cable from your speakers into the adapter cable for a simple and tidy solution. 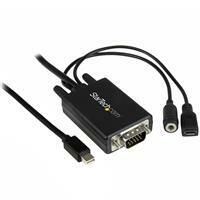 In order to use the audio function of the adapter, it needs to be powered through USB. 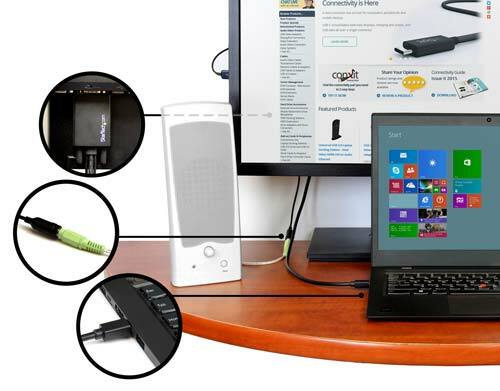 Simply connect a Micro-USB cable into the adapter from your computer, monitor or USB grommet in order to provide the necessary power. The adapter guarantees you always have all of the connections you need. If the audio port on your computer is damaged or blocked, this adapter cable ensures you still have sound available for watching video presentations, listening to music while you work or chatting with your colleagues over Skype™. 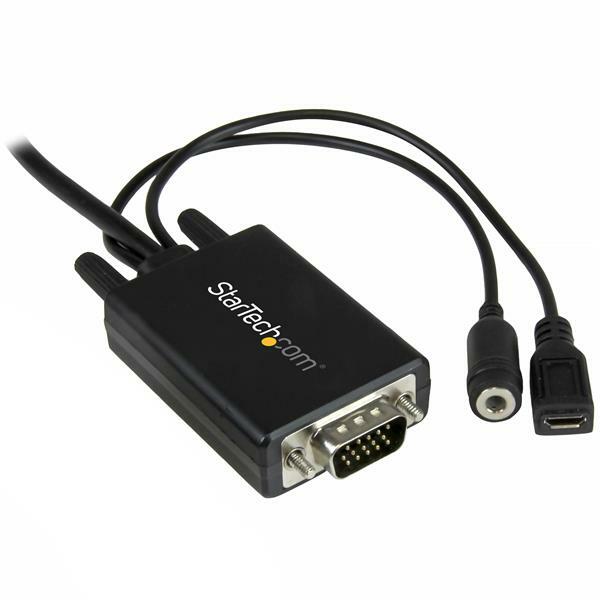 The adapter cable is compatible with Intel® Thunderbolt™, when connected directly to a supporting DisplayPort over Thunderbolt™ I/O port, and supports resolutions up to 1920x1200 (WUXGA). The MDP2VGAAMM2M is backed by a 3-year StarTech.com warranty and free lifetime technical support.